The cannabis extract Sativex was effective in the treatment of a patient suffering from stiff person syndrome (or stiff-man syndrome). Physicians at the Neurology Department of the University Hospital of Ribera in Alzira, Spain, presented the case of a 40-year-old man with progressive muscle stiffness and intermittent spasms for 6-years. The cannabis spray was introduced after a series of unsatisfactory traditional medical treatments. Considerable improvement was verified after 14 months. Authors noted that Sativex is used in spasticity due to multiple sclerosis. “Because MS and SPS share some neurological symptoms such as spasticity and rigidity, it is thought that THC-CBD can be an option for SPS patients.” Stiff person syndrome' (SPS) is a rare neurologic disorder of unknown aetiology characterized by progressive rigidity, stiffness, and spasms. Uruguay's government plans to start growing cannabis soon after a law legalizing sales of the drug passes Congress, but a ban on selling to foreigners will stop the country becoming a drug tourism hot-spot, officials say. The leftist government announced plans in June to legalize the cannabis market to stop rising crime, arguing that the drug is less harmful than the black market where it currently trades. The use of cannabis and other drugs is already legal in Uruguay, one of Latin America's safest countries. The reform being sent to Congress would legalize and regulate its sale and production. Meeting the needs of the nation of 3.3 million people will require annual production of about 29.8 tons, the government estimates, and cannabis will be cultivated in a plantation of roughly 100 hectares. It is not yet clear whether the drug would be grown by the state or by private contractors under license. "By regulating the marijuana market in the way we're proposing, we're going to undermine the development of trafficking of other drugs," Julio Calzada, secretary general of the National Drugs Board, said. 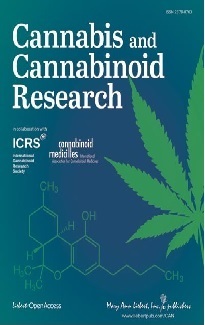 The Canadian Consortium for the Investigation of Cannabinoids (CCIC) is pleased to invite you to a one-day event showcasing internationally renowned speakers: Roger Pertwee, Vincenzo Di Marzo, Karen Ethans, Paul Daeninck, William Notcutt, Mark Ware. This event also features: Industry updates from GW Pharmaceuticals, Bedrocan BV and Prairie Plant Systems, a poster session and a round-table discussion. A survey with 457 patients suffering from fibromyalgia revealed that 13 per cent used cannabinoids for treatment, of whom 80 per cent used herbal cannabis, 24 per cent prescription cannabinoids and 3 per cent used both. 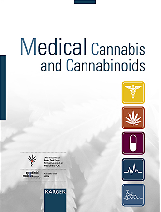 Cannabinoid users were more likely to be male (26 per cent of all male patients compared to 7 per cent of female patients).